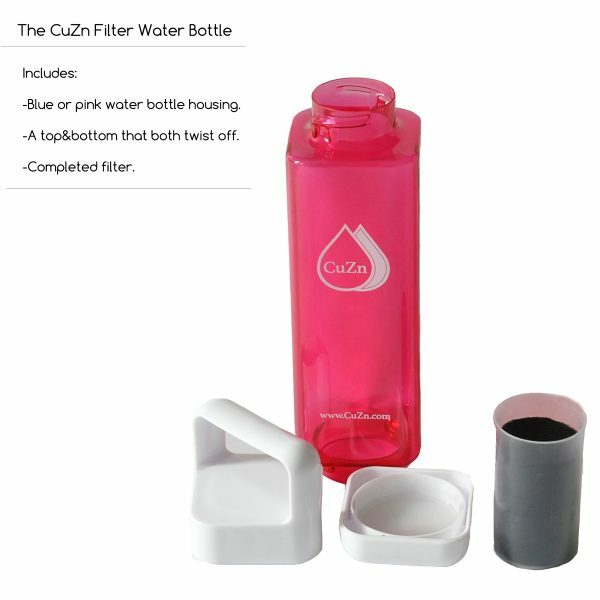 CuZn’s incredible new filtering water bottle! Featuring an innovative removable cap and base design, cleaning is a breeze. 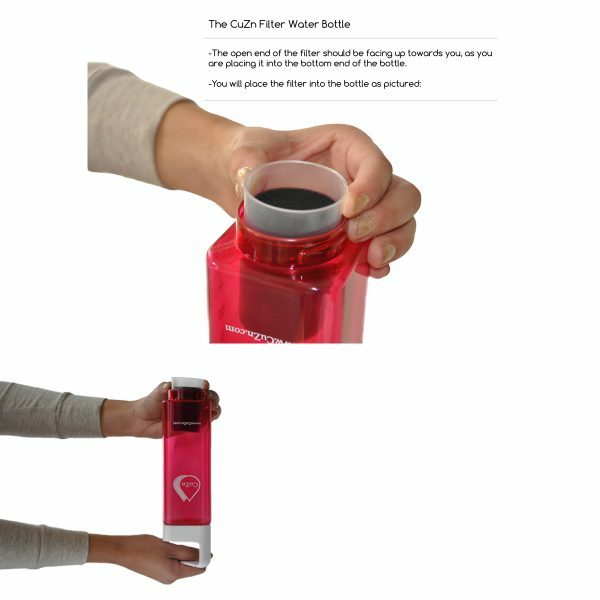 A unique fast flow filter is installed in the base of the water bottle. 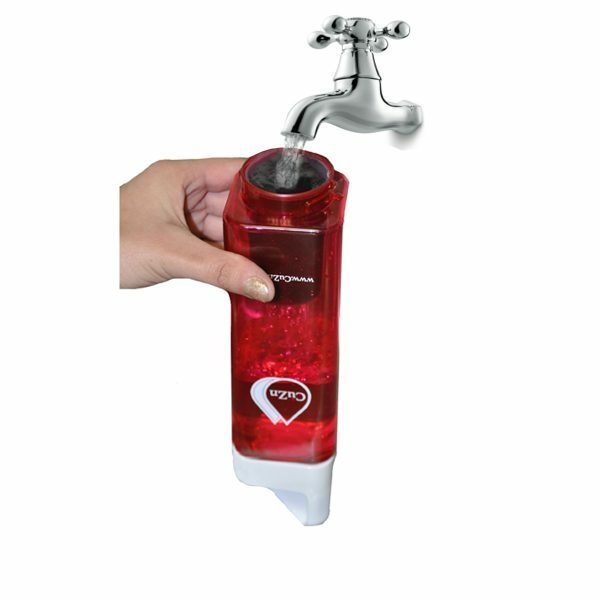 Simply turn the bottle upside down, remove the base cap and pour water through the filter when filling and enjoy filtered water at home or on the go! Unlike Other Filtering Bottles, The H2FLoW Filters When You Fill it Up! 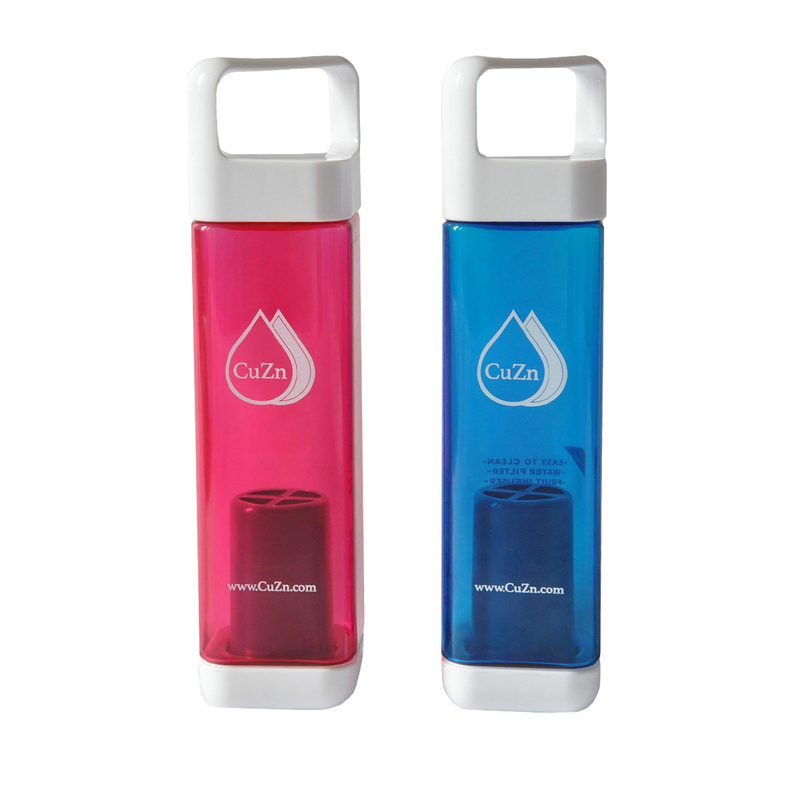 The CuZn H2flOw Filtering Water Bottle is designed to give you clean drinking water every where you go. 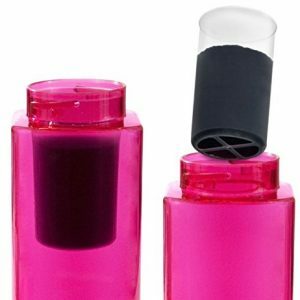 The bottom and top caps of the bottle both twist off, providing an easy way to clean and fill up your bottle. 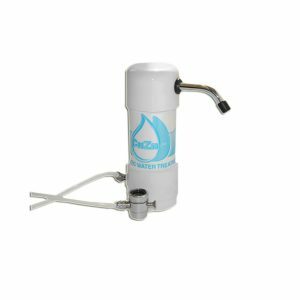 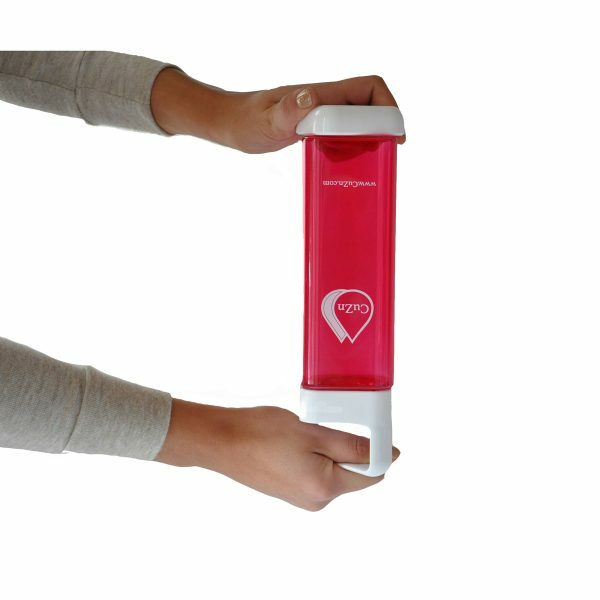 The H2flOw creates an easy solution to filter water from any spout right into the bottle-no squeezing or sucking water though the filter necessary. 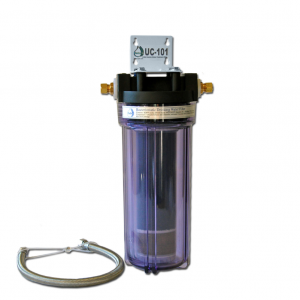 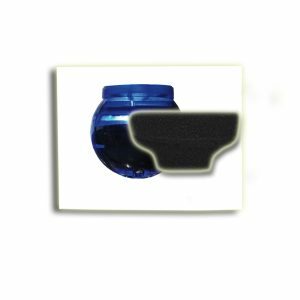 Water gently flows through the filter, right into the bottle, and is ready to drink.